There’s always someone looking to persecute the poor pine marten. 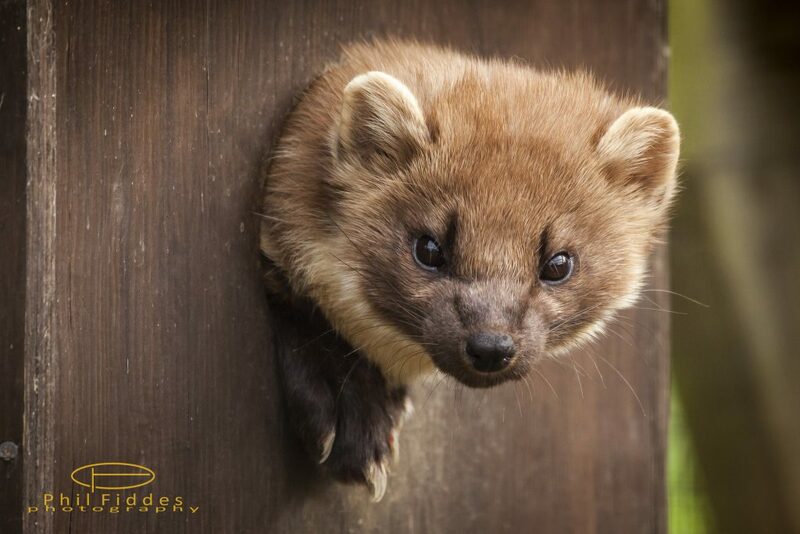 The latest assault on Ireland’s rarest mammal came from Athlone Councillor Tom Farrell who has called for pine martens to be taken off the protected species list so that their population can be culled. Councillor Farrell proposed the motion at September’s meeting of the Athlone Municipal District Council because of the “damage and upset this species is known to cause”. Is the pine marten, an animal no bigger than a house cat, causing enough damage and upset that another mustelid massacre is warranted? Some background is needed to inform this debate. Pine martens have been in Ireland for a very long time. They arrived straight after the last ice age at the same time or maybe even before we did. By the 1900s their populations had been decimated primarily due to the fur trade and habitat loss. Pine martens were facing extinction in Ireland before they were granted legal protection through the Wildlife Act in 1976. Since then, they have been included in Appendix III of the Bern Convention 1979 and Annex V of the EU Habitats Directive 1992. Dr Declan O’Mahony, a wildlife ecologist, estimated that there were about 2,700 pine martens on the island in 2012. The Irish Wildlife Trust calls this recovery one of Ireland’s only conservation success stories. Woodland is the preferred habitat of pine martens and due to this arboreal affinity, their Irish name is cat crainn, meaning tree cat. Considering that Ireland used to be practically covered in forest and that today only 11 per cent of the land is forested (with a dismal 1 per cent of this native woodland), it is clear that pine marten populations will never return to their former heights. There have been some outrageous accusations regarding the ‘terrorizing’ behaviours of pine martens. Last year, Longford Councillor Padraig Brady warned that if pine martens weren’t controlled they’d start attacking babies in cots, referring to an alleged case in England. Mr Brady, however, appears to have mixed up his evil wild animals as the incident he was referring involved a fox. If you listen to some of the sound bites from Councillor Farrell’s interview on Shannonside FM last week you’d think that an army of pine martens was pillaging and plundering its way through the Midlands. Pine martens have a reputation for being extremely elusive and are considered one of our rarest native species. They are omnivores, eating a range of food including berries, insects, rodents, small birds, and mushrooms. They are solitary animals with large territories, meaning that their population never becomes too high. As one of the few remaining predators in Ireland, they play an important role in our ecosystems, regulating populations of mice and rats. They have even been linked to protecting another, rather more popular native species, the red squirrel. A recent paper published in the journal Biodiversity and Conservation found a correlation between the recovery of pine martens and a fall in the numbers of the invasive grey squirrel in Ireland. 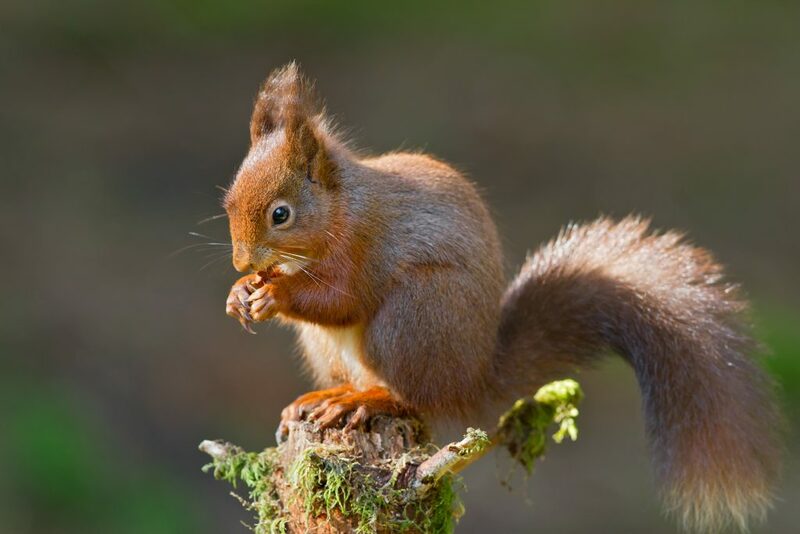 The team of Irish researchers found that pine martens play an important ecological role in protecting red squirrels that are starting to make a recovery. There is no doubt that pine martens can be troublesome for farmers and shooting clubs. They are definitely capable of stealing an easy meal from an insecure chicken coop and have been known to seek out warmth and shelter in attics of rural homes. However, removing their protective status and initiating a widespread cull is not the solution. 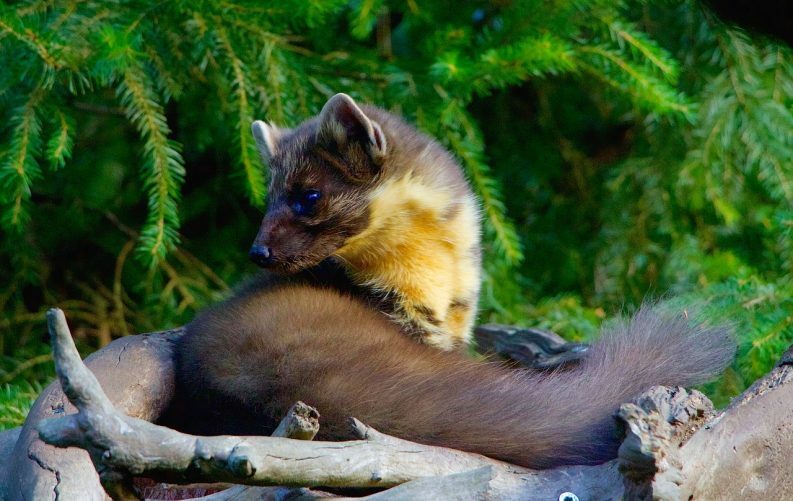 While it is disheartening to see some of the scaremongering tactics surrounding pine martens, it is important that support is given to those who experience conflict with these animals in their day-to-day lives. There are plenty of measures that can be taken to ensure a harmonious co-existence. The Vincent Wildlife Trust published a guide for how people can live alongside these wild animals with a minimal amount of conflict. As a last resort, the National Parks and Wildlife Service can be contacted to deal with a persistently troublesome pine marten. We’ve already gotten rid of our wolves, bears, and lynx. Hopefully, we’re not just making our way through a list of furry creatures with pointy teeth. Pine martens are beautiful creatures and are one of the last truly wild things we have left in Ireland. They deserve every ounce of protection they get.